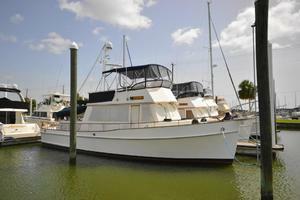 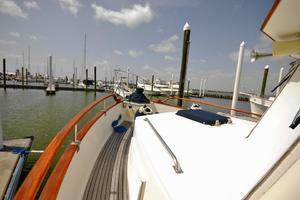 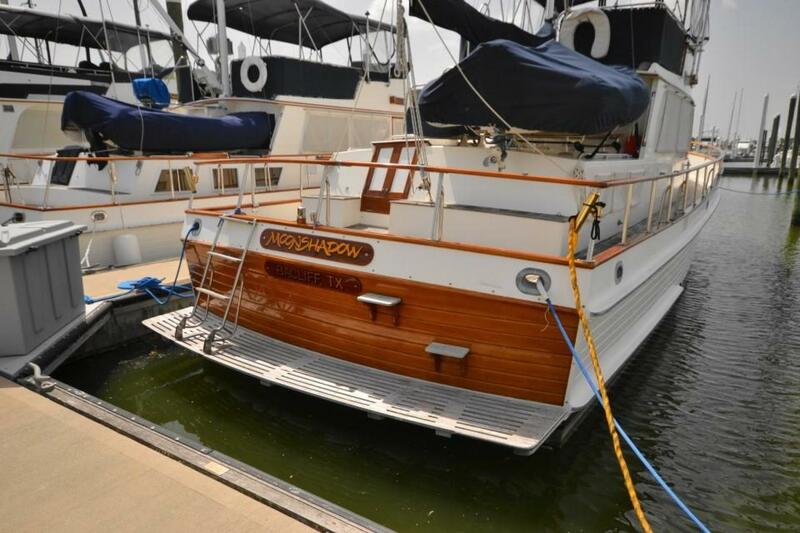 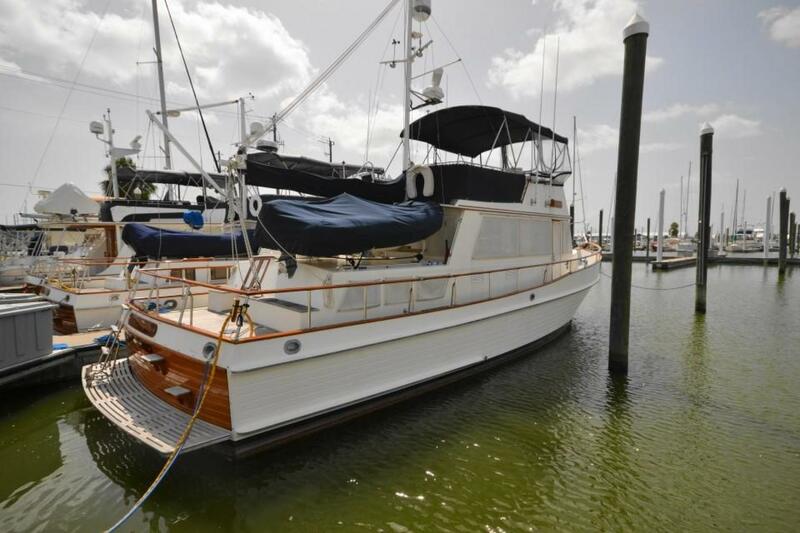 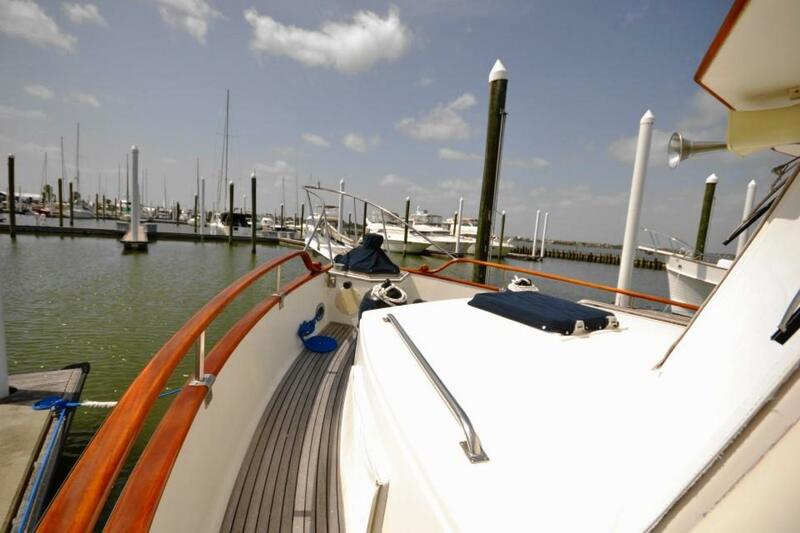 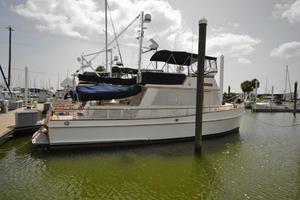 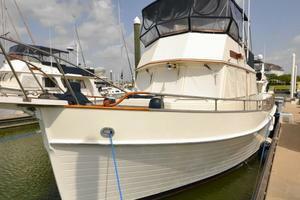 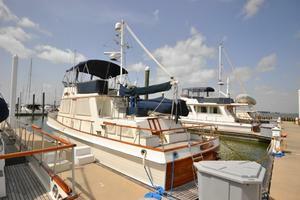 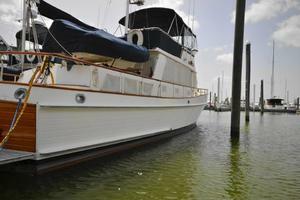 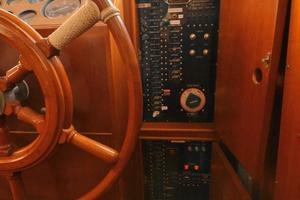 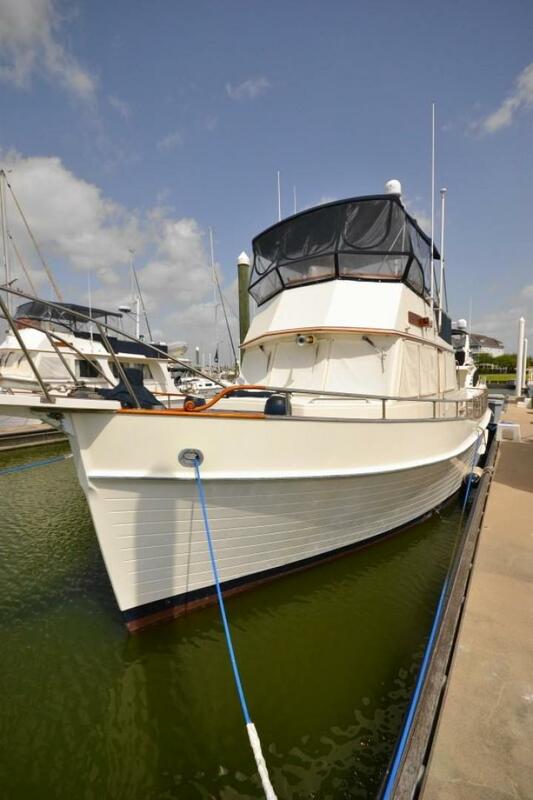 Moonshadow is a true high quality, classic yacht that has been well maintained and is ready for the Great Loop! She is as pretty as she is sound with gleaming exterior wood trim and recently remodeled salon. 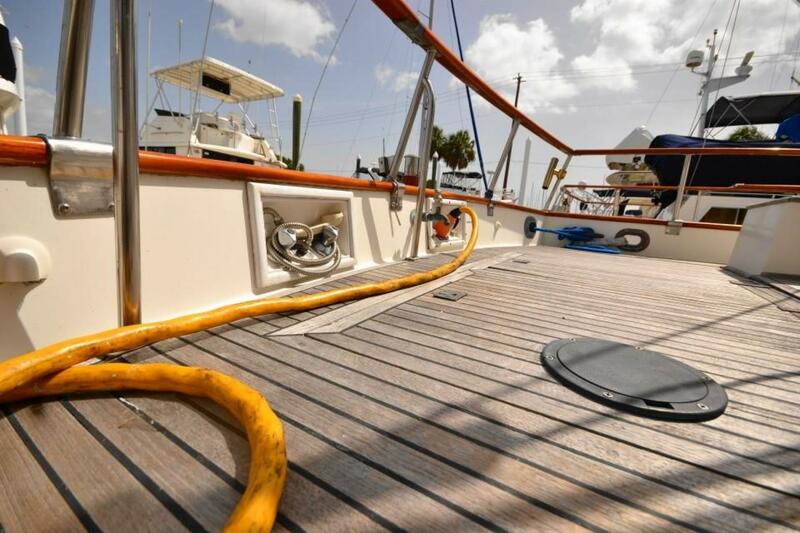 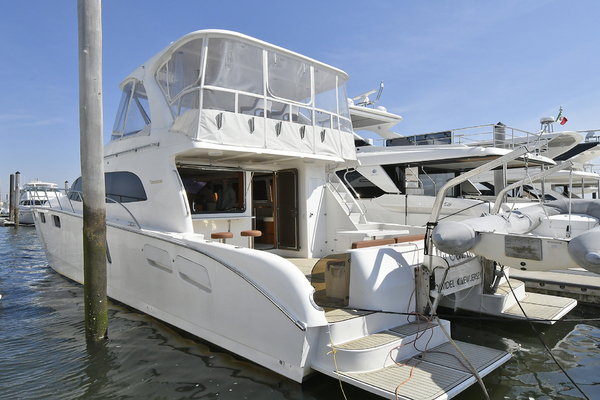 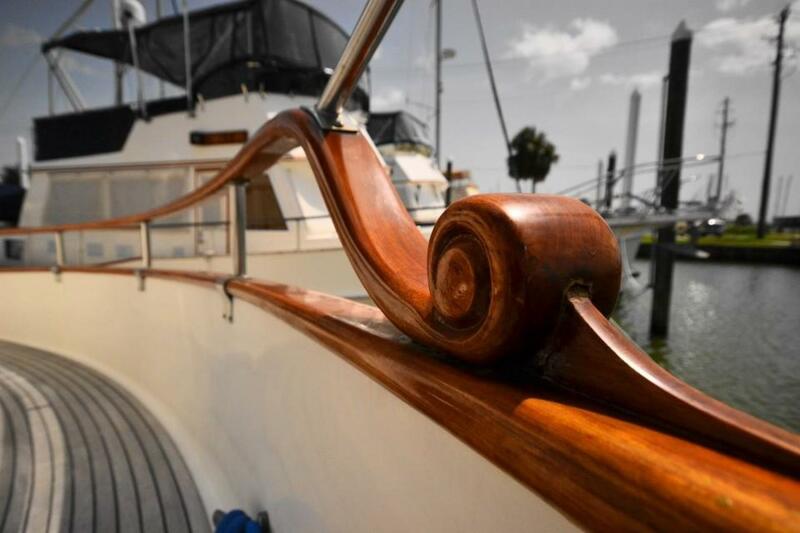 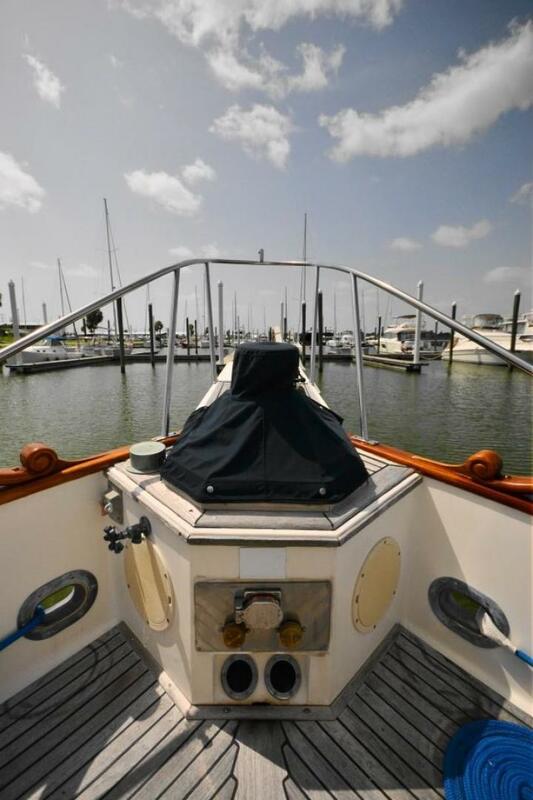 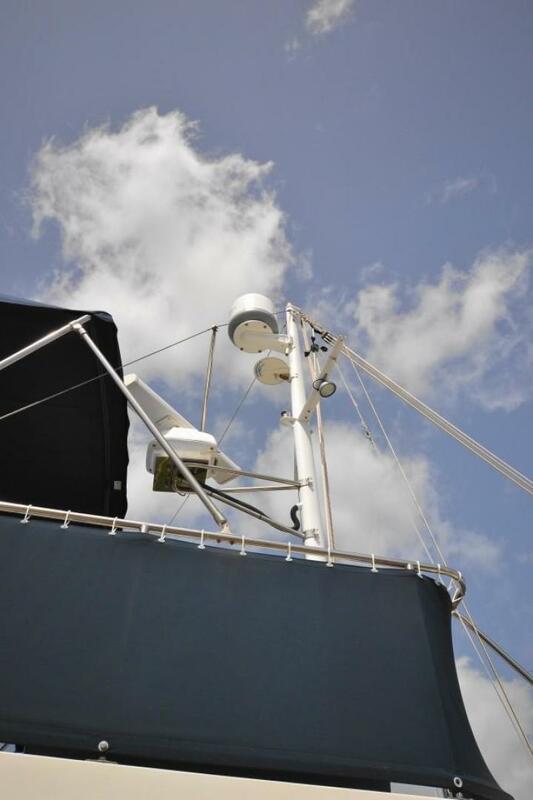 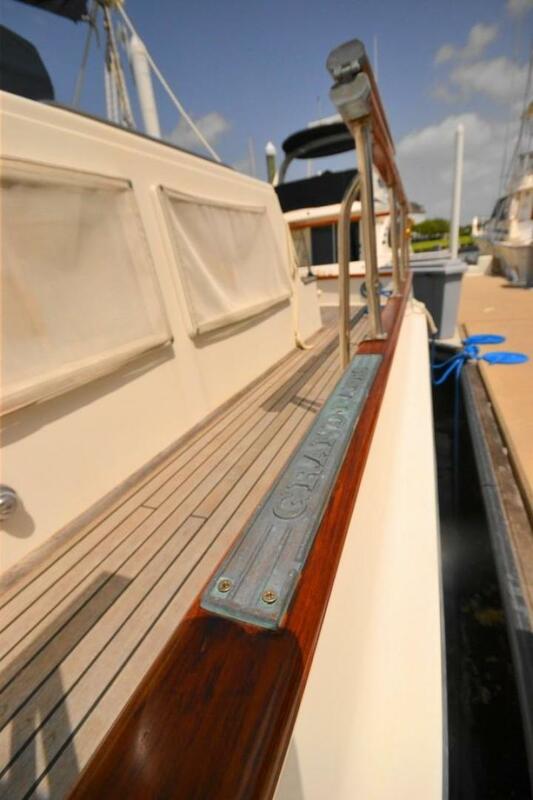 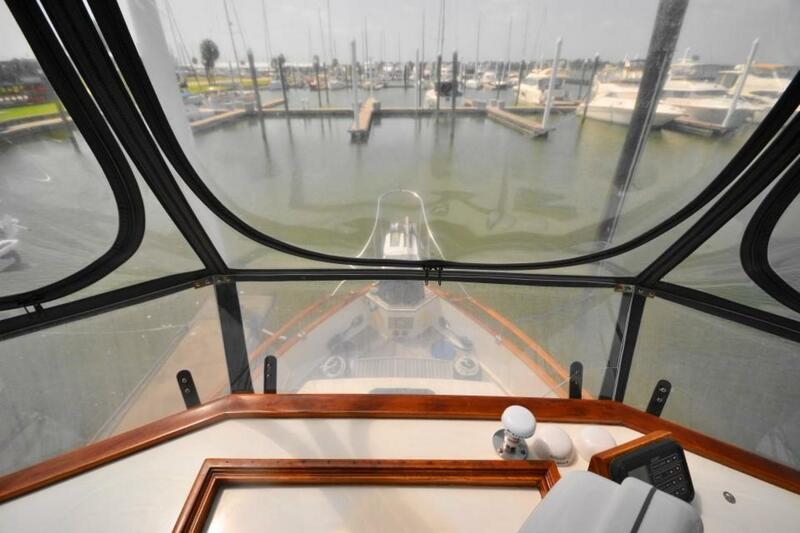 Solid window seals, replaced lower teak decks and annually maintained fuel tanks are the typical Grand Banks issues that you don’t have to worry about with this yacht. All that and more for only $179,000. 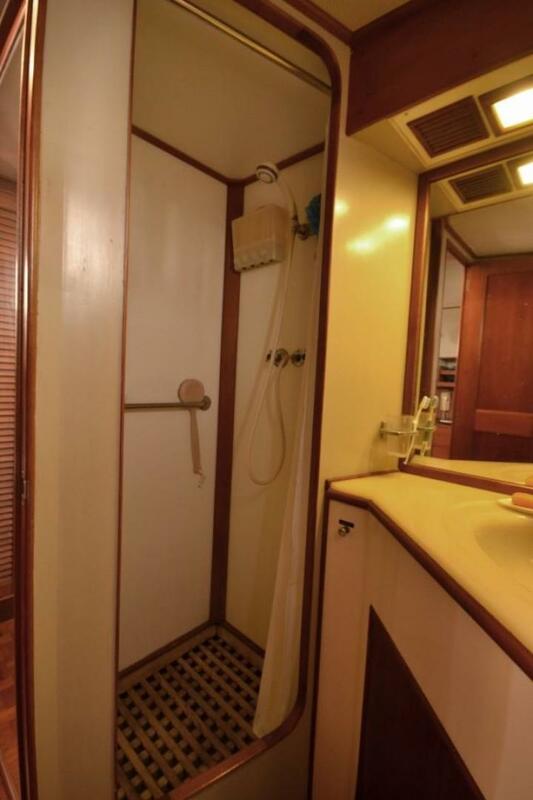 This is a great opportunity. 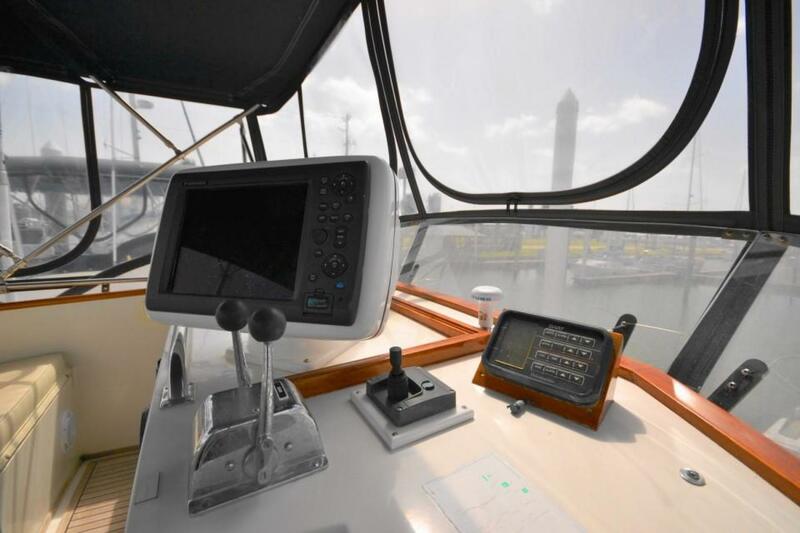 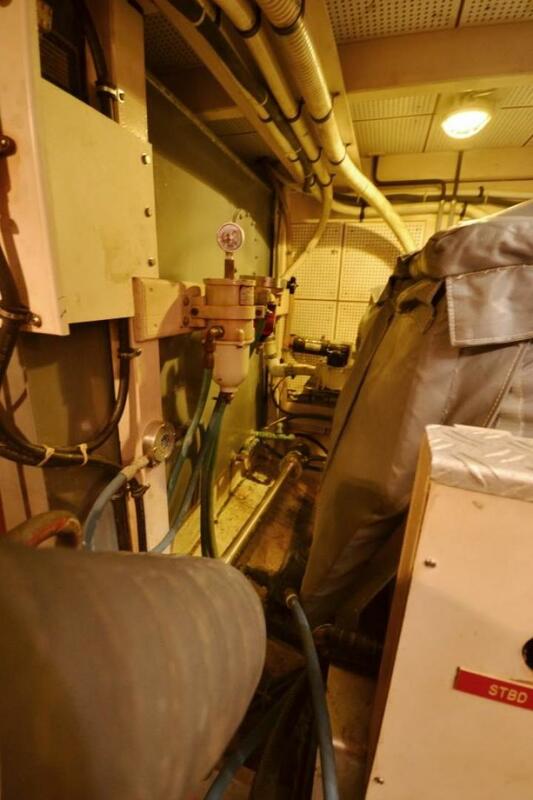 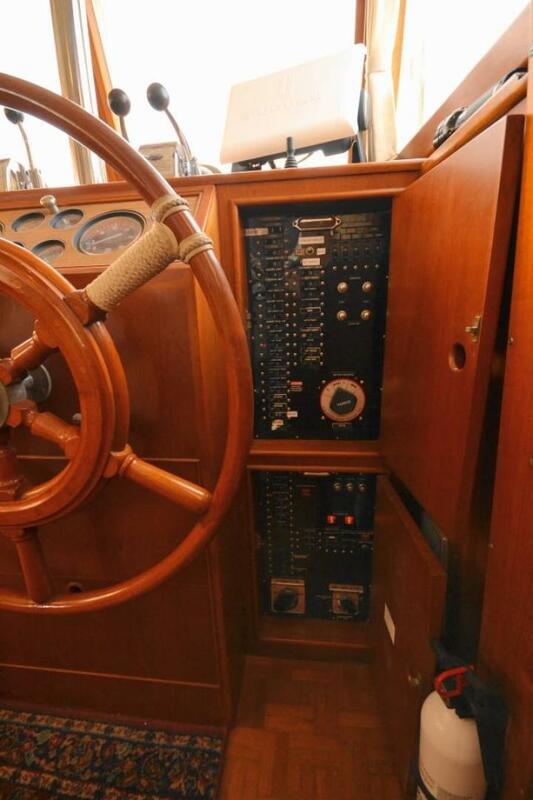 The Lower Helm Station is to starboard and has an adjacent side door. 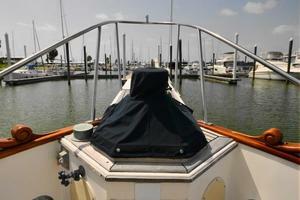 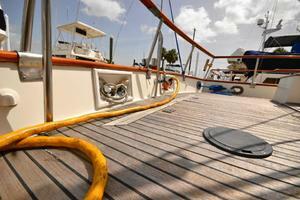 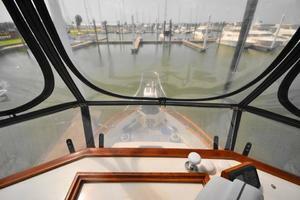 This offers a great alternative to running from up on the flybridge. 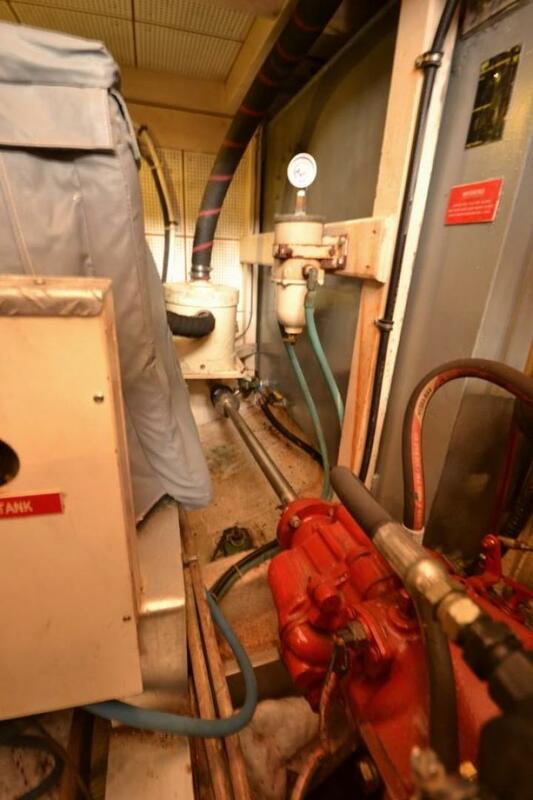 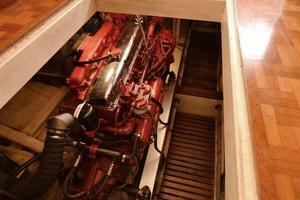 The main access to the engine compartment is through the salon sole. 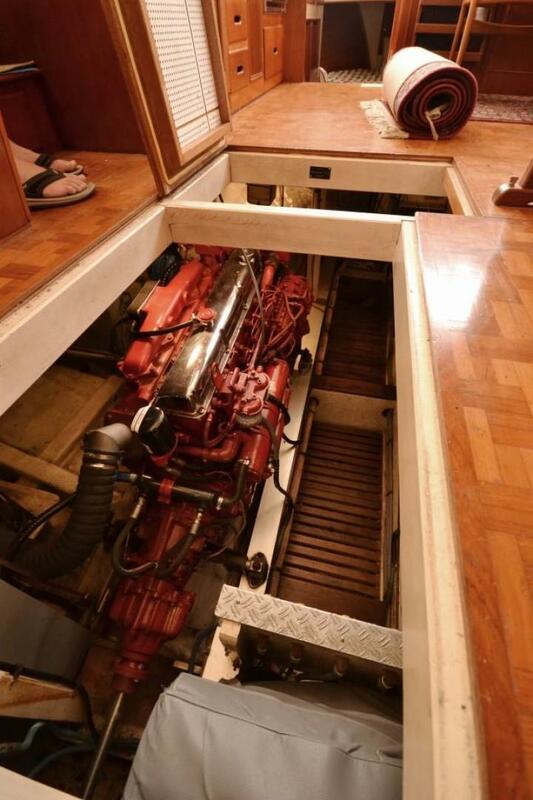 There is also a door under the forward cabin access steps. 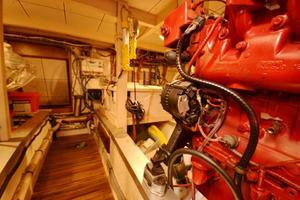 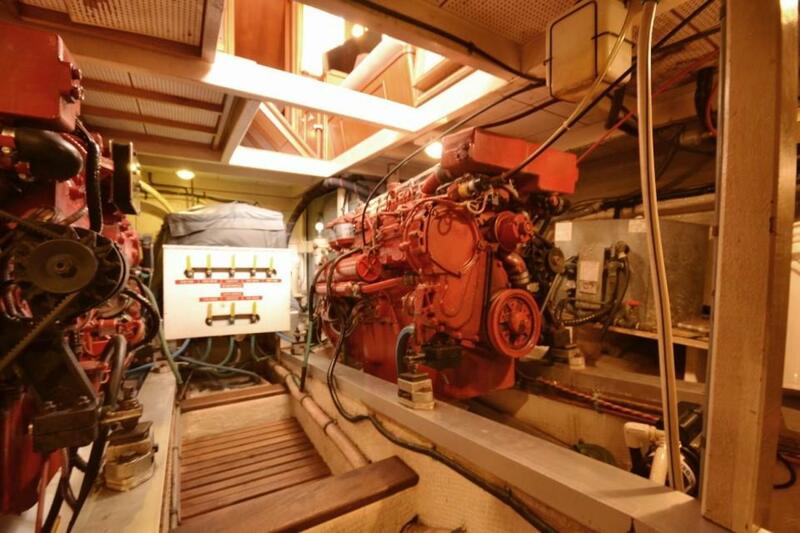 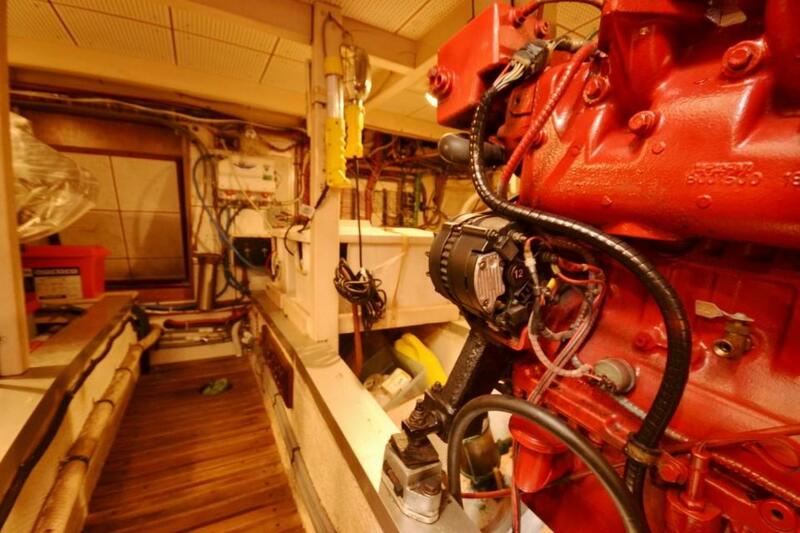 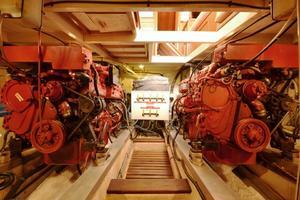 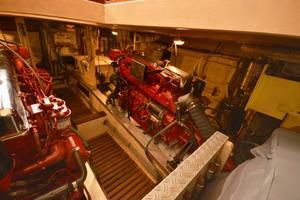 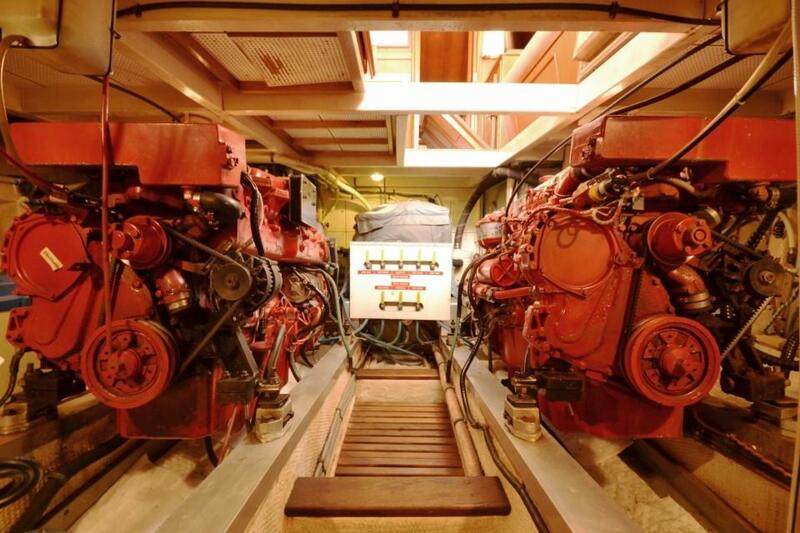 This is a nice size space with good access outboard of each main engine. 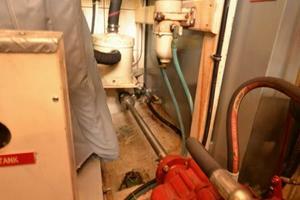 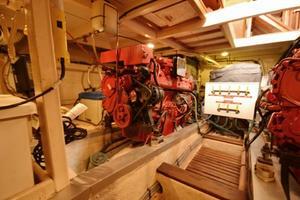 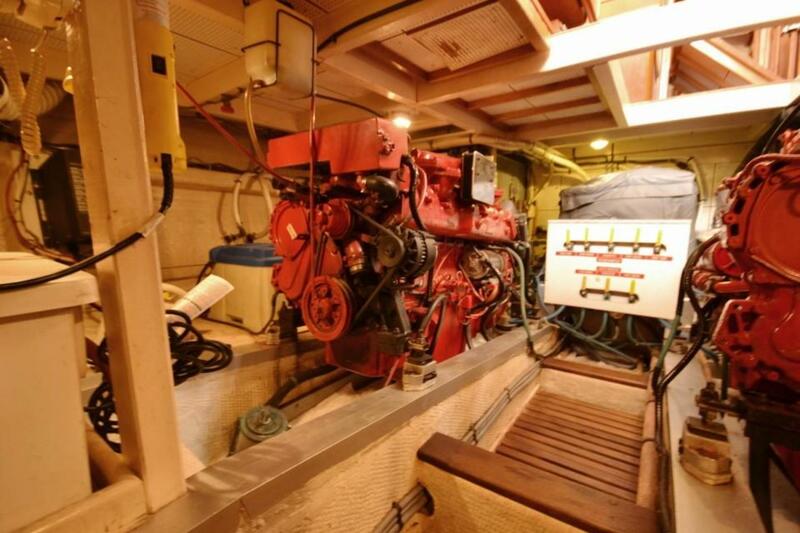 The generator is aft and center with fuel tanks outboard of that. 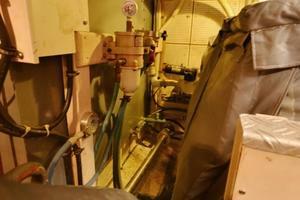 The water tanks are aft in the lazarette. 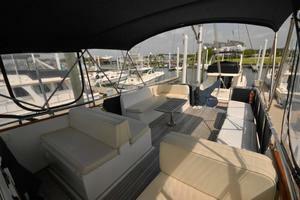 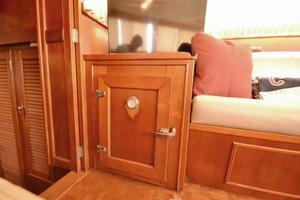 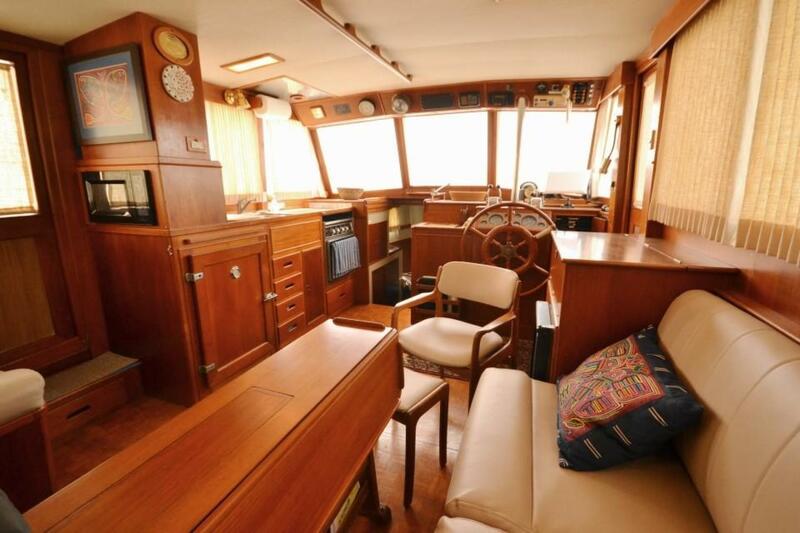 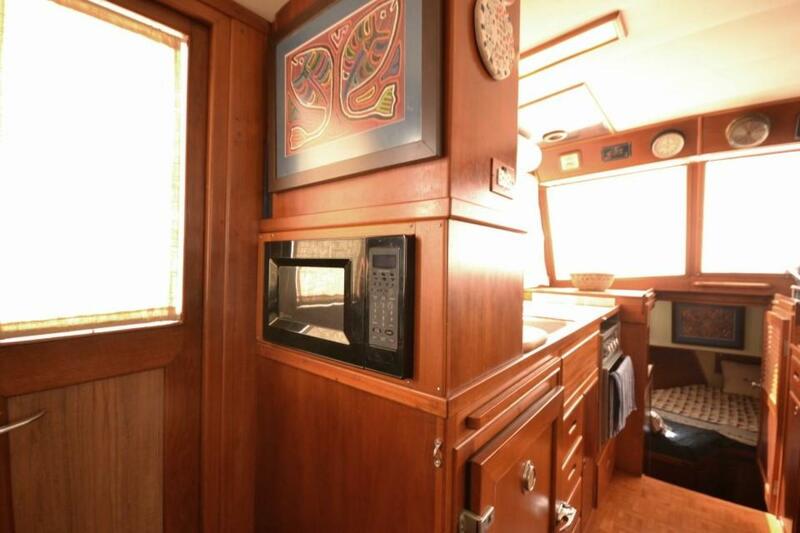 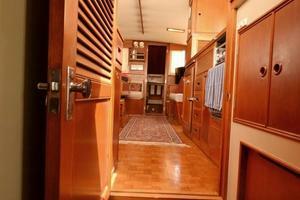 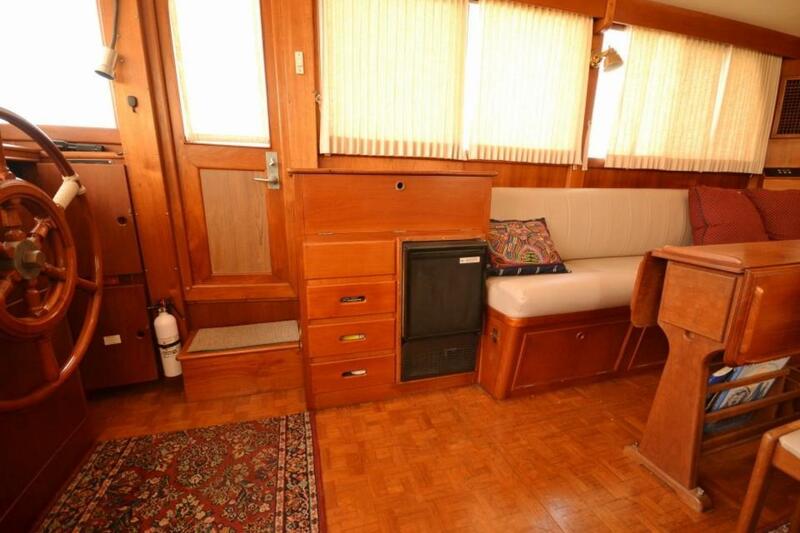 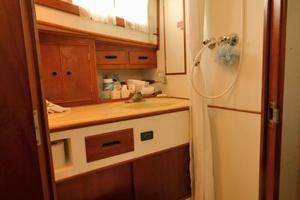 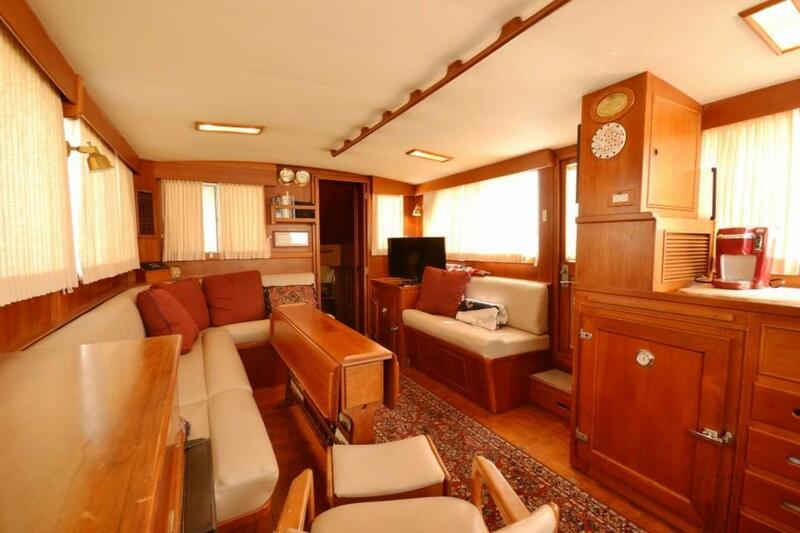 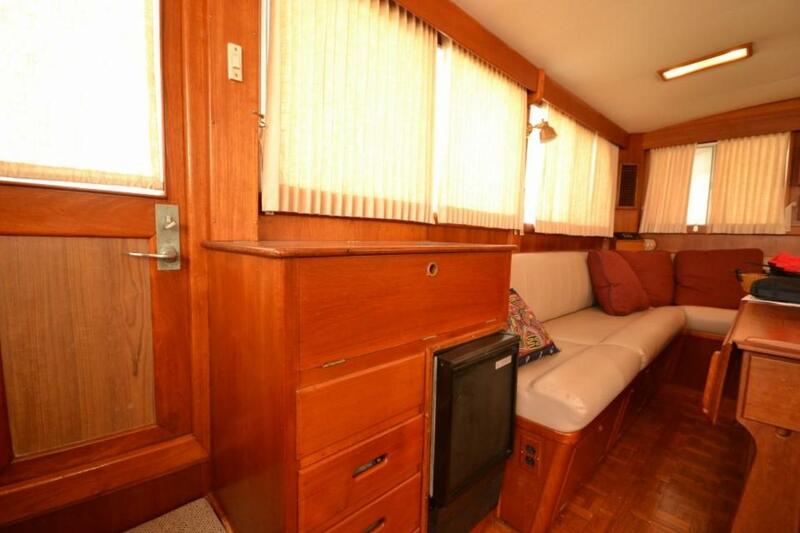 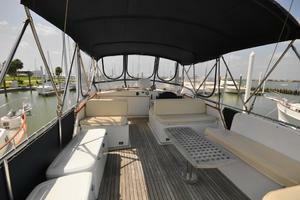 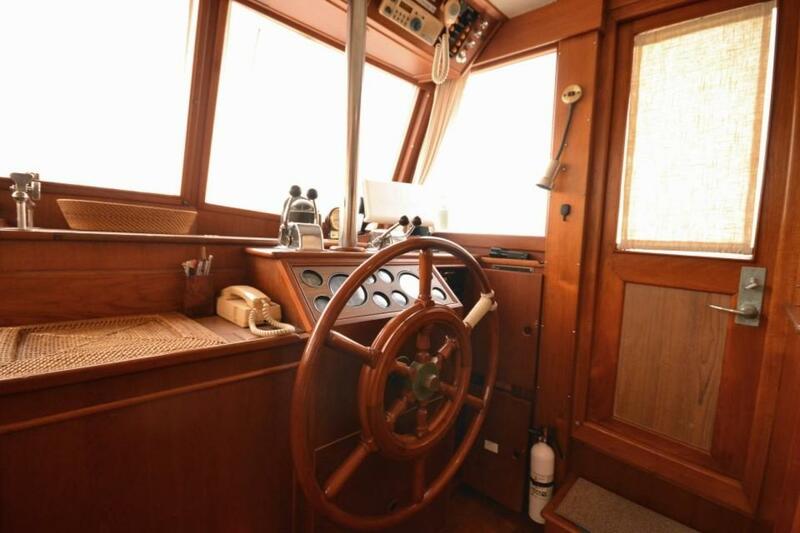 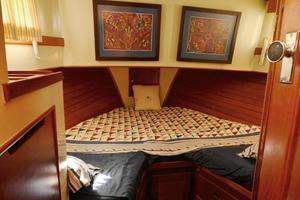 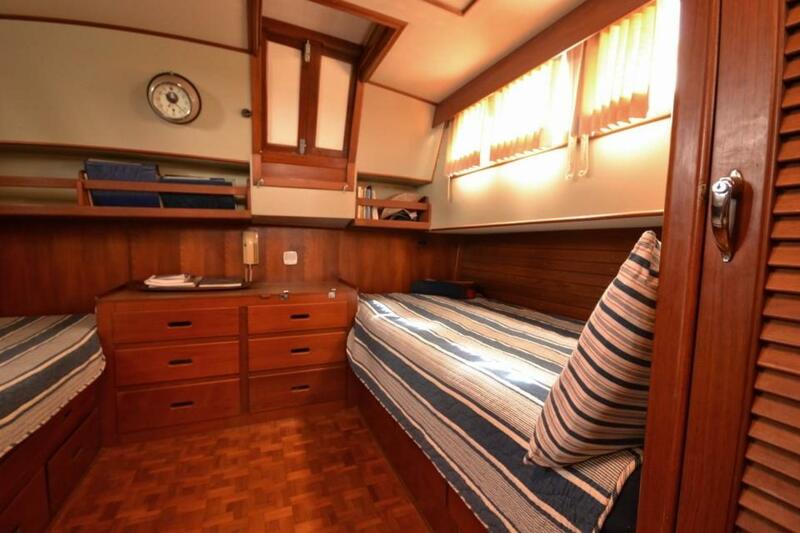 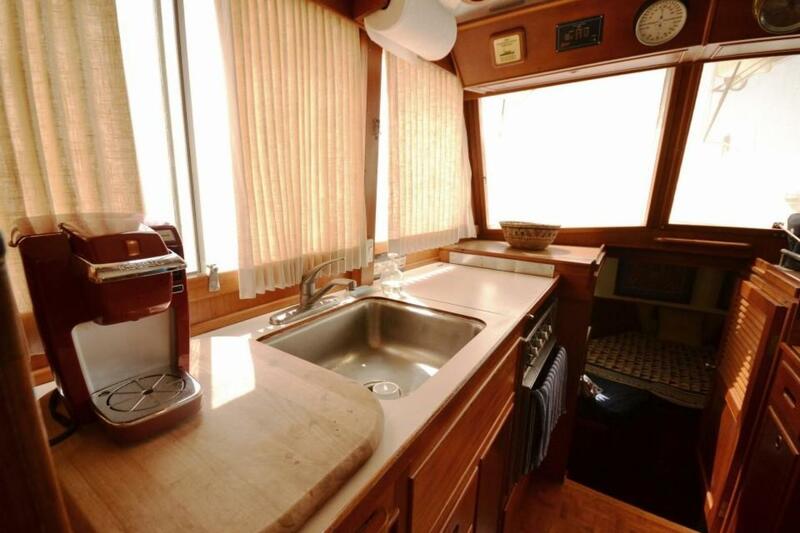 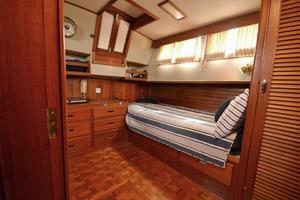 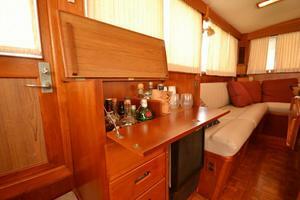 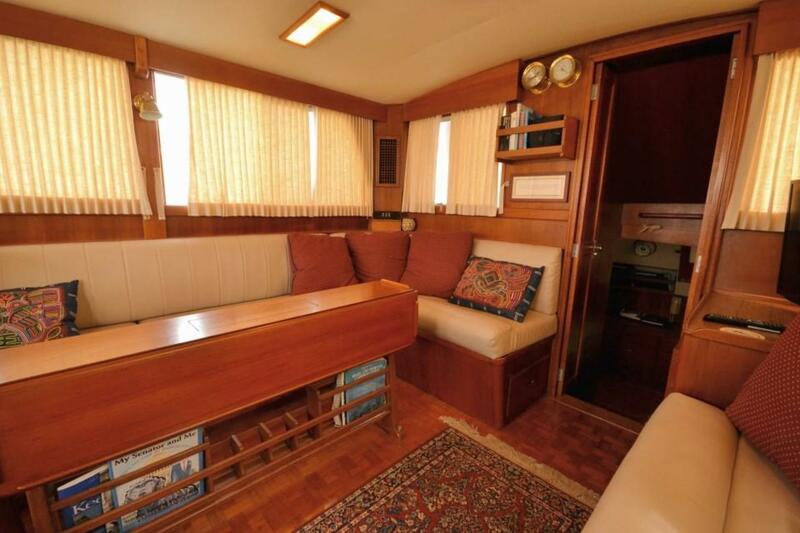 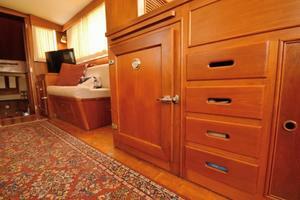 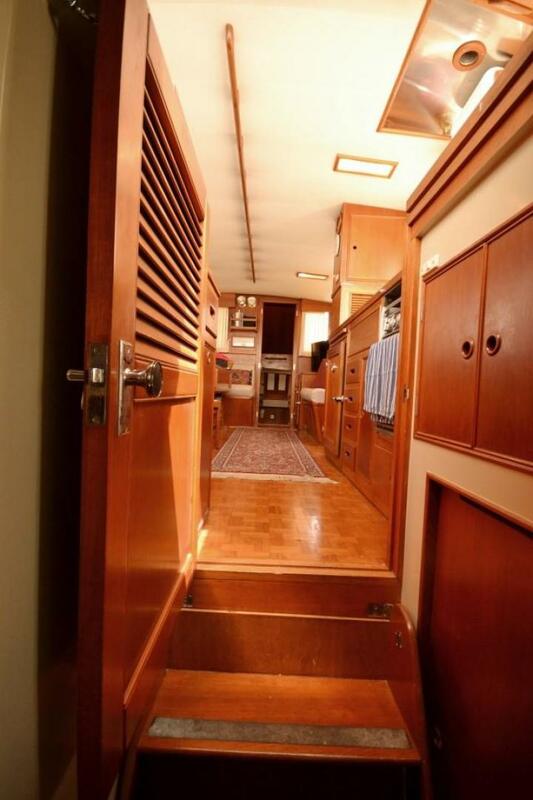 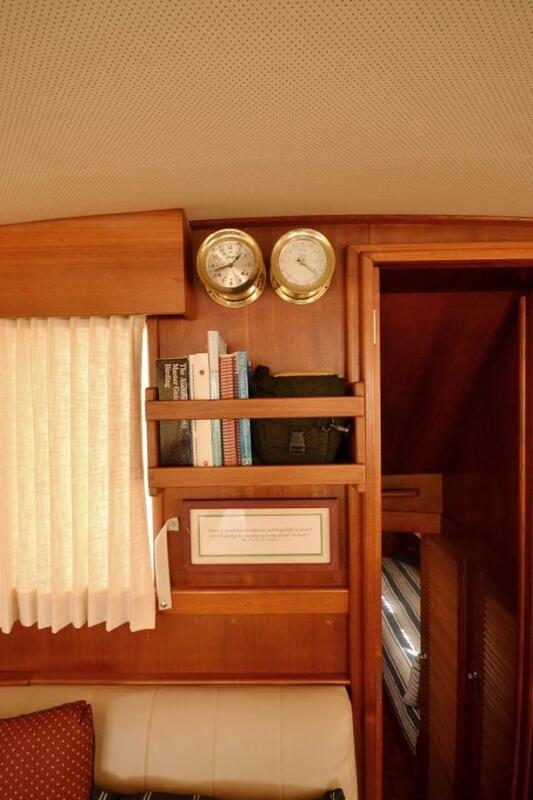 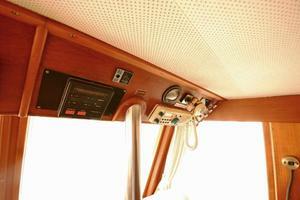 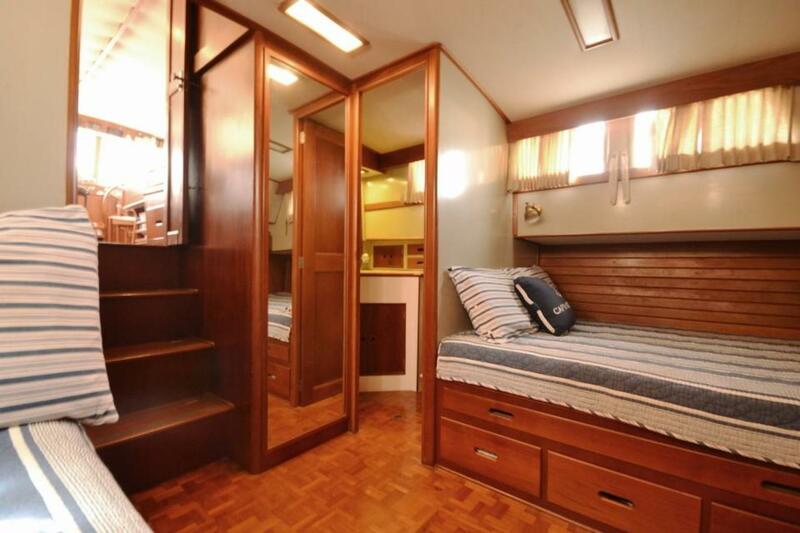 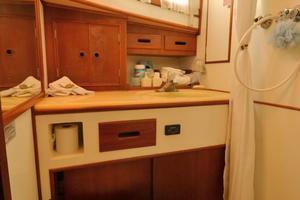 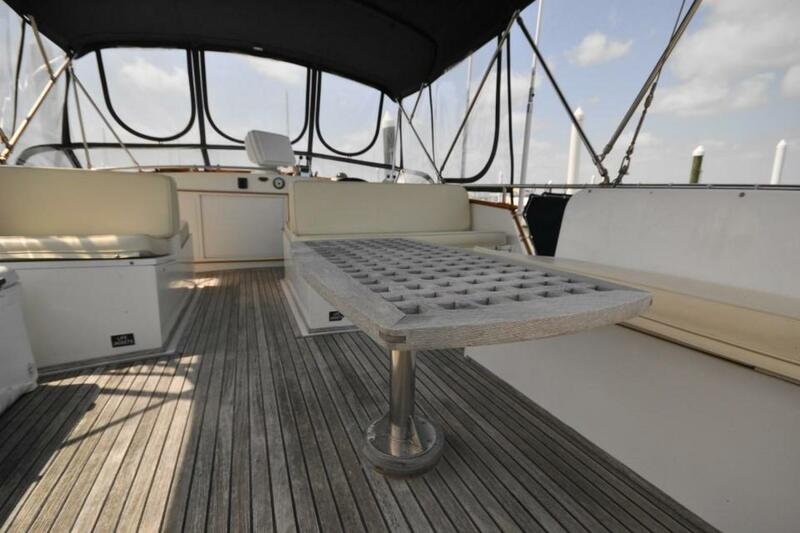 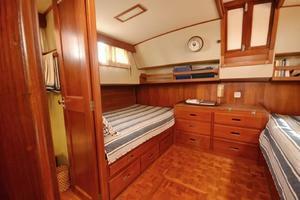 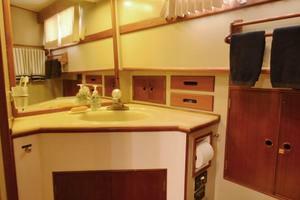 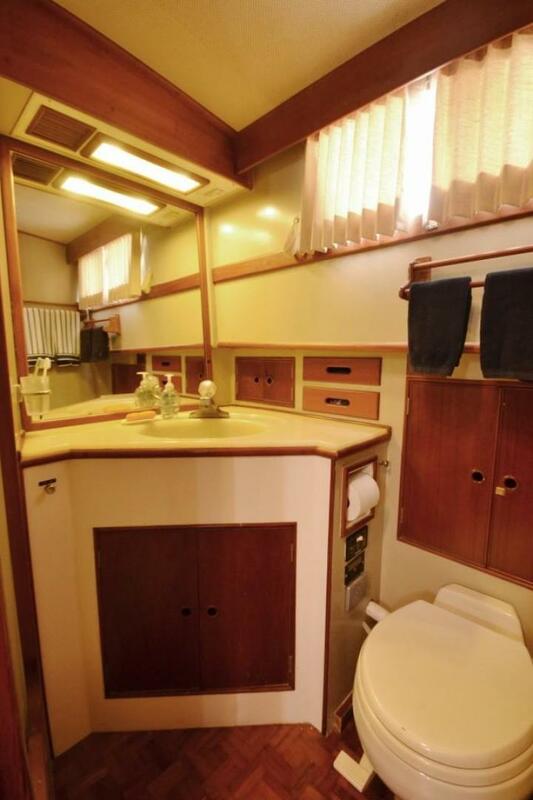 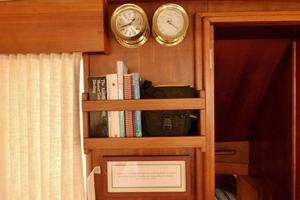 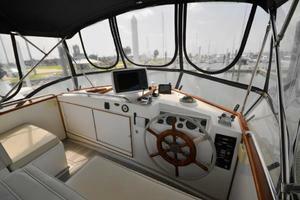 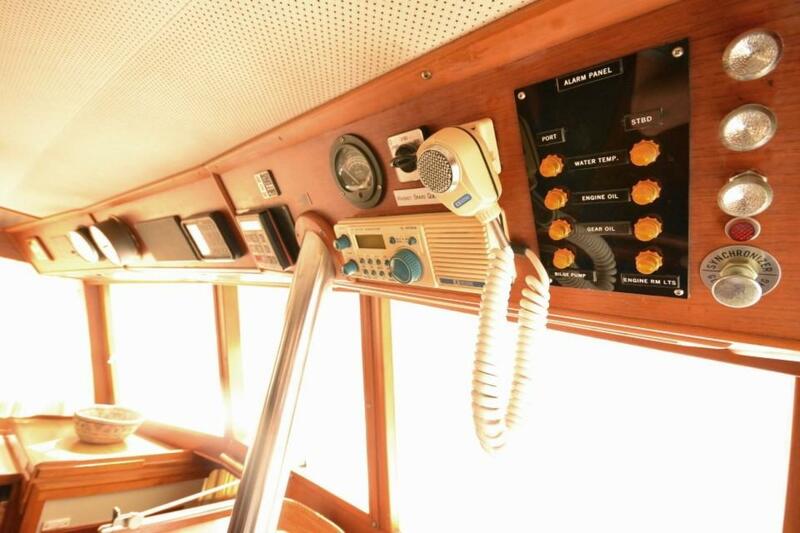 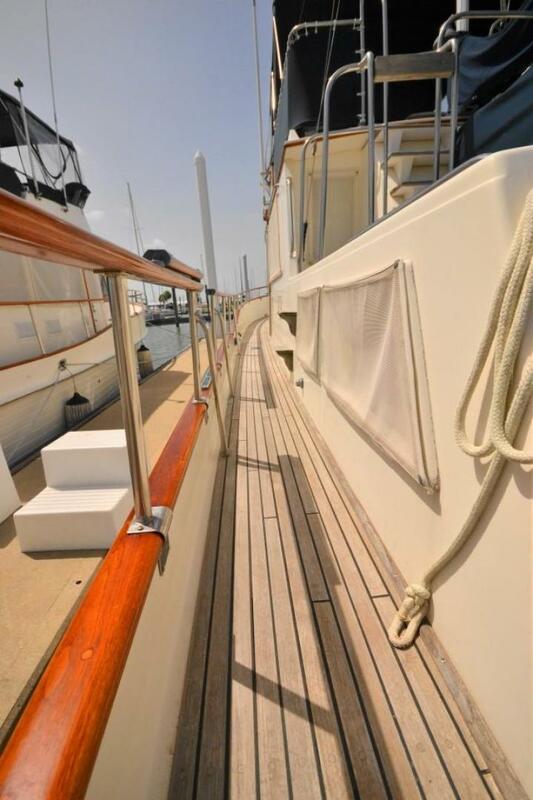 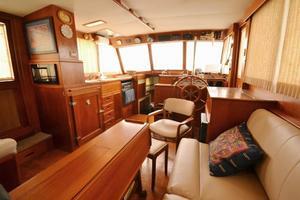 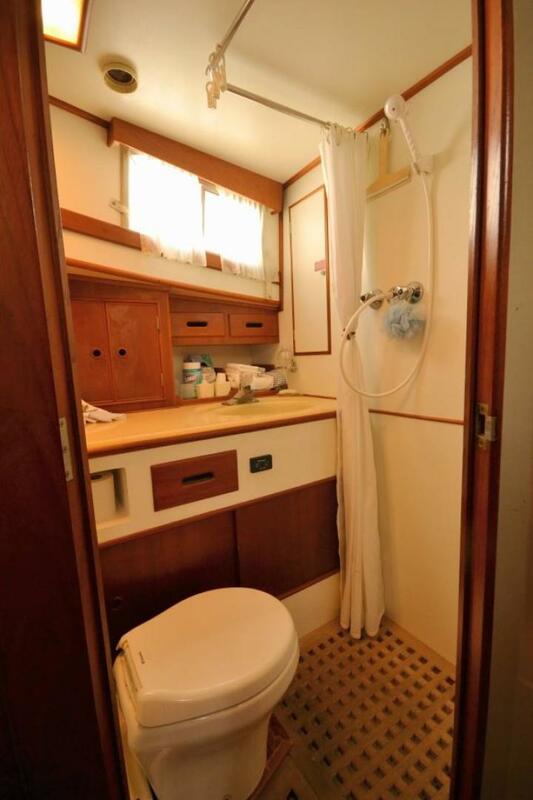 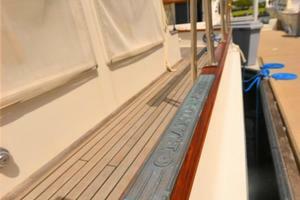 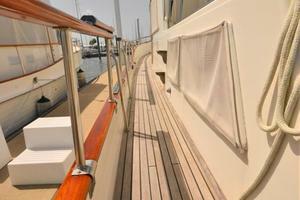 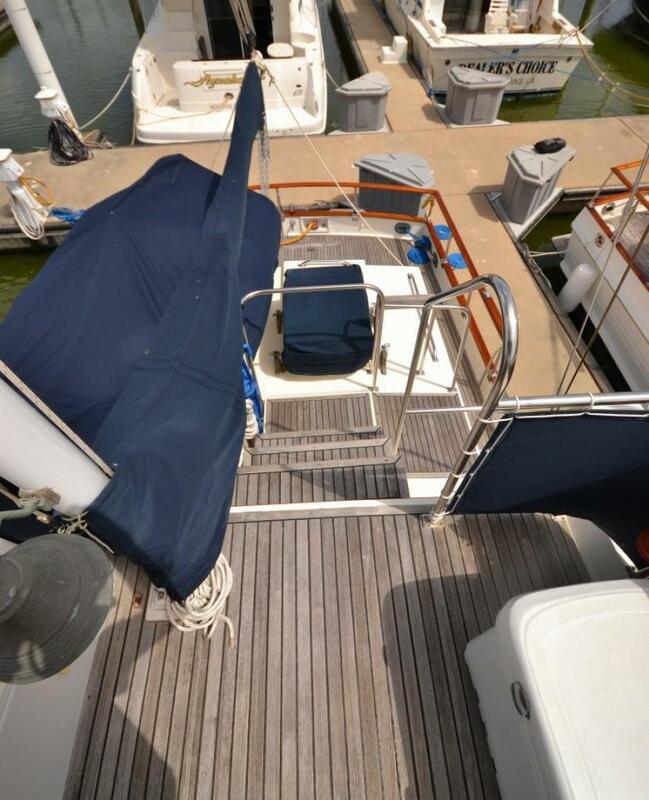 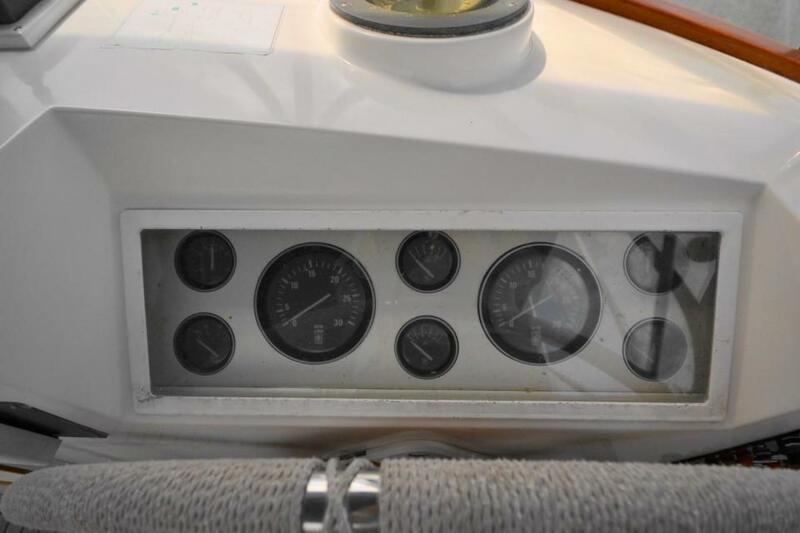 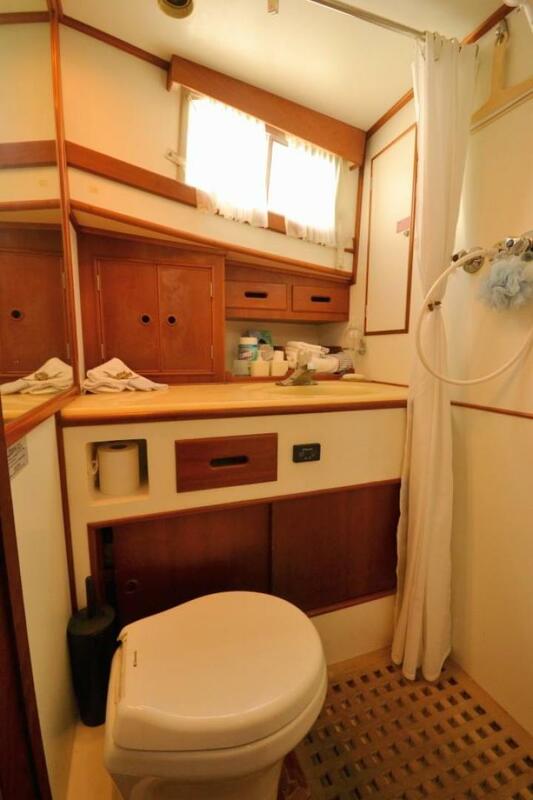 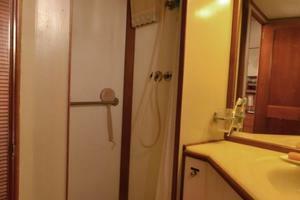 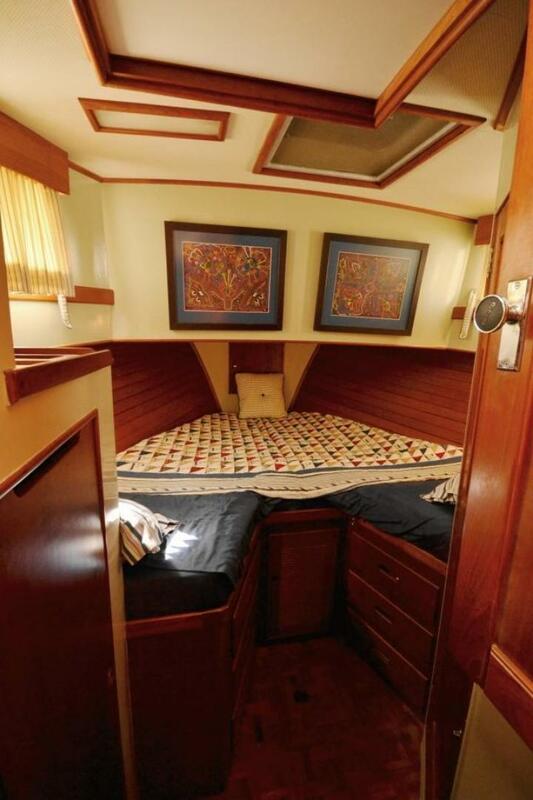 One reason the Grand Banks 42 Classic is a fantastic cruising boat is because of her deck layout and features. 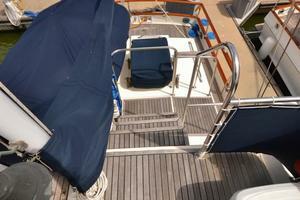 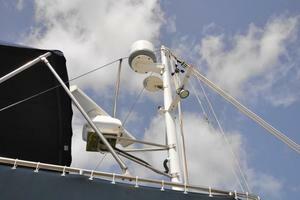 The Flybridge is accessed by steps on the port side. 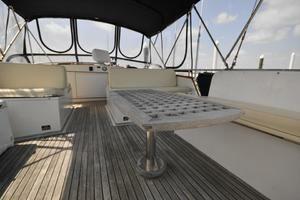 This area allows great visibility and plenty of seating for guests.